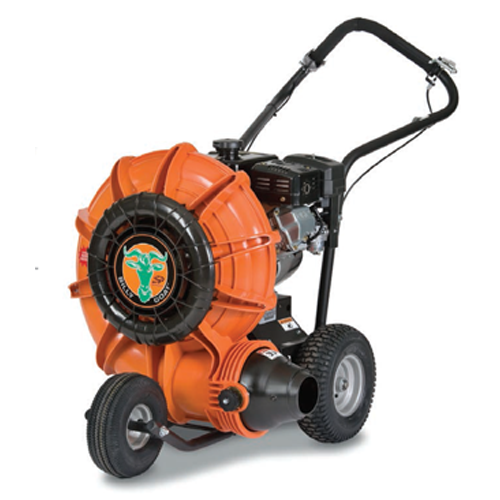 Billy Goat has designed and manufactured a walk behind force blower that is perfect for commercial use stepping up in power! The step up in power allows you to clear areas in a shorter period saving you both time and money. 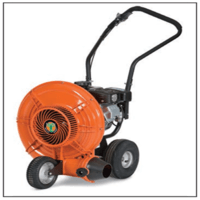 It also comes with the attachment to change the airflow to a forward direction, making it ideal to blow along walls and fences. Powered by the elite Honda 4-stroke engine which comes with years of engineering brilliance. Reliability is the foundation of Hondas success and the GX270 is no different. 262cc in power providing plenty of grunt to get the job done. The housing is backed by a massive 5 year warranty! And the engine is covered by Honda's well renowned 4 year warranty! 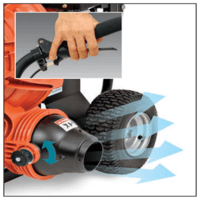 This nifty design enables the user to direct the airflow in the direction they need it the most with fingertip control. Just loosen the knob adjust the nozzle and lock it in the desired position for maximum performance. The air is also up too 52% more concentrated in comparison to square steel discharge nozzles. The smooth rounded housing in comparison to the steel one works to eliminate air voids resulting in a quieter operating machine an maximum performance. Its also a proven design that won't rust or dent on you! Also, compare it too the steel versions and it is so much lighter! 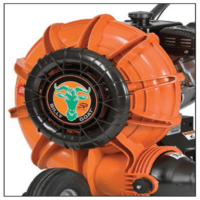 The design of the Billy Goat force blowers means that they are up to 30% lighter than other blowers in the same category on the market all while maintaining a strong a durable unit. This means that the product is easier to push and manoeuvre around your property! 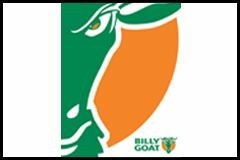 Billy Goat engineers have put their heads down and bums up in order to optimise the force blowers fan technology improving efficiency and power. 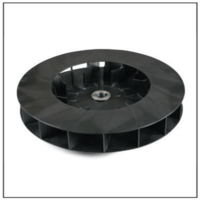 Ultimately they designed a 16 blade closed fan which is more than twice as many most other manufacturers use. The lighter material makes the machine easier to start on cold days and also resulted in better performance. 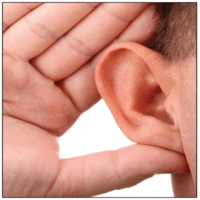 The quiet operation of the Force Blower range compared to its opposition is a huge relief for users and their neighbours. 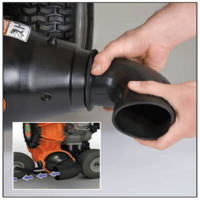 This attachment comes with the F902H and directs the flow of air forwards instead of backwards and is extremely easy to install in one step. Perfect for blowing along fences and walls!